Ah TV. Often the surrogate parent for many children. We all have busy lives and sometimes the good old TV is needed keep the kids entertained while we get on with the million and one things that need to be done around the house. But are we causing more damage than we realise? 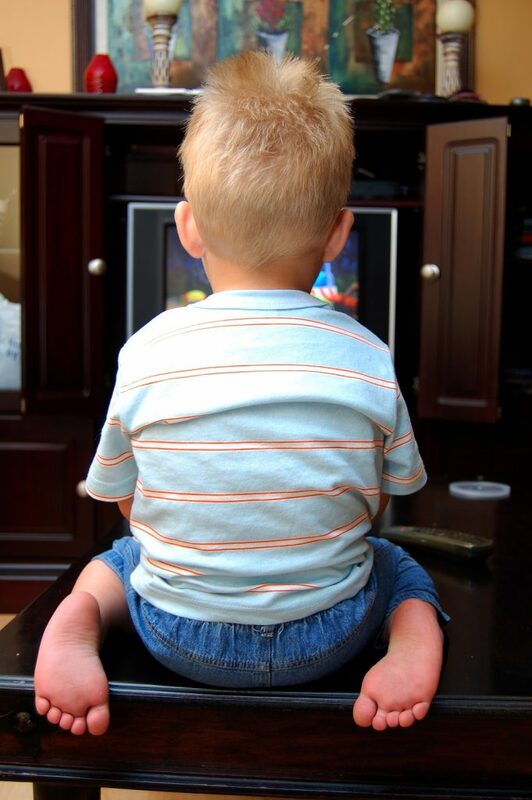 TV is captivating – notice how the kids go all quiet when it’s on? Does your child, while watching TV, hear you when you call? TV and digital screens (including hand held devices) have a detrimental effect on children’s physical and mental development and there’s increasing evidence that it’s getting worse. As a specialist in children’s visual development and Behavioural Optometrist I am seeing a significant rise in the number of children with difficulties. There are several reasons why TV can hinder development. The TV is frequently used as a babysitter to keep the child entertained while the parent gets on with other things that need to be done. However, the images from TV are designed to hook a child’s attention and imagination which can make it harder for a child to learn to use their imagination and creativity effectively for themselves. 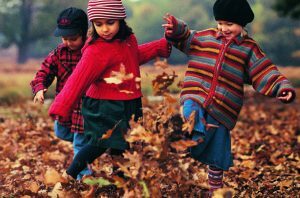 Children’s normal physical development requires lots of movement and actions, for example playing outside, running around, jumping, climbing trees, riding a bike and playing games like hop scotch etc. However this is all being replaced by TV and devices that require no physical movement, hindering development of gross and fine motor control of the body, this in turn has an effect on how they control their senses including their vision. The latest research from Australia and the USA shows that children who spend more time indoors are more likely to become short sighted. Even more alarmingly, evidence from Australia suggests that every hour spent in front of a TV causes the artery in a child’s eye to narrow slightly; enough to be equivalent to a 10mmHg increase in blood pressure. According to research from the Booktrust, a charity which gives free books to children, parents were more likely to sit and watch TV or a DVD with their child than read a book with them. Children become addicted to the TV and miss out on normal human interaction, understanding how people talk, the flow of conversation, being able to ask questions and getting answers and appreciating communication in facial gestures and body language. Communication is a key survival skill and children become deprived of this skill through excessive TV watching. Some other risks have also been noted; the fast moving stimulus from the TV can leave some children craving more intense stimulation, a child can also find it harder to be aware the world around them when they are used to concentrating on a screen and start to ignore the surrounding environment. The use of hand held devices has prompted warnings regarding the risk of neck and back problems due to abnormal postures adopted by children when using these. To help your children develop the key skills and behaviours they will need, try and minimise the use of the TV as a babysitter; get back to old fashioned physical activities that require them to interact with their surroundings, especially outdoors and encourage them to participate games and play that stimulate their creativity and imagination. Switch the TV off and play. Get outdoors or play games, do anything that makes their developing bodies move, think and interact with the world. Sit up straight and sit at least 10 feet (3m) from the TV. Lying on your side disrupts the way the way their eyes work together. Limit TV to 30 minutes at a time. Keep the room lights on. The TV generates a light source, the contrast from the TV and a darkened room puts excessive strain on the visual system. Watch out for symptoms of Eyestrain. Such as “squinting the eyes to see”, excessive blinking, rubbing eyes, red or watery eyes, or sitting too close to the TV. If you notice these signs seek professional advice from an eyecare specialist as soon as possible.